People are constantly having arguments about vaccines. The anti-vaccinating individuals slam those who choose to vaccinate for putting their child in "danger." They claim that vaccines are causing damage and do more harm than good. 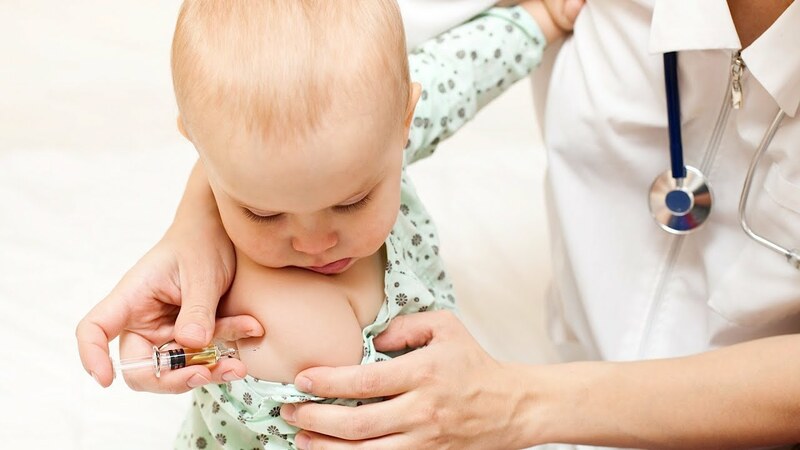 One argument against vaccines is that they cause autism. Then the pro vaccine people counter that argument by saying that there are hundreds of articles proving that the benefits of vaccines outweigh the risks that they might cause and that vaccines don't cause autism. It has been a major debate among people these days. One mother decided to not give her son vaccinations and she said that "her son had to suffer with the consequences." Jessica Leigh Boren saw a post on Facebook about the "dangers" of the whooping cough vaccine and she decided that she would not vaccinate her son Brody. She was one of the millions of people who choose to not fully vaccinate. As a result, Brody got whooping cough. She filmed him while he was ill and posted the footage on Facebook urging other parents to vaccinate their children so that other kids wouldn't have to deal with what Brody had to suffer with. Boren wrote on Facebook along with the video, "this is a baby boy struggling to breathe and turning blue with every cough. Coughing for over a minute each time. Multiple times an hour. For 5 days. Getting worse by the second. This is my happiest child, unable to laugh without having a coughing spell." Her other two children were fully vaccinated, but she decided to space out Brody's vaccinations (if she chose to get them at all). Brody stopped receiving his full dose of the Pertussis vaccination and that is how he got whopping cough at 18 months. Boren, like many other parents, thought that her son wouldn't ever get the illness. When she went to the doctor for his cough, but she didn't believe it could be that serious, because whooping cough was just "too rare." Poor Brody was diagnosed shortly after. Boren wrote on Facebook, "this is our son getting diagnosed with a deadly illness that could’ve totally been prevented. This is my baby boy being placed in a Bio-Hazard hospital room ... This is my baby being poked, prodded, X-rayed, suctioned, connected to wires upon wires, unable to move and roam like a toddler desires. This is 4 days of him not eating or drinking on his own ... This is knowing your son could have this cough for up to 100 days and knowing there’s nothing you can do about it." It is heartbreaking that her son had to suffer from such a painful disease. Boren was very embarrassed to admit what had happened to her son, but parents thanked her for her bravery. They thanked her for telling people about the truth behind anti-vaccination. Thankfully Brody's story ended happily, but many other children don't get to have that same happy ending. Boren is urging parents to get their children to vaccinate, so that their children don't get whooping cough like Brody.